If you know that it’s time to hire a lawyer, but you aren’t sure what kind of a process that you should follow to hire the best one for the job at hand, you may take the opportunity to use technology to your advantage. In the past, people may have picked lawyers based on proximity, word-of-mouth, or advertisements in physical books and flyers. Now, things are different. There are four tech-savvy tips that you can think about immediately concerning this decision. You can make sure that you use technology to recognize fake reviews. 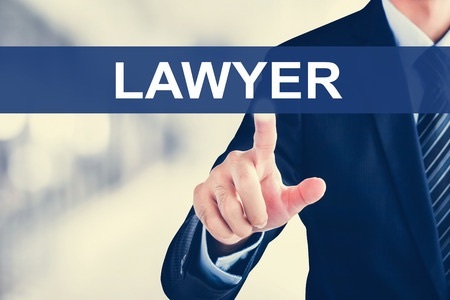 You can use technology to search for specific types of lawyers. You can make sure that when you visit a lawyer’s website, you have the technology set up to talk to them online. And, you can use technology to scan social media chatter about the quality of a specific service offered. First of all, you need to understand how to recognize fake reviews online. Particularly in a realm as competitive as attorneys trying to get your attention, there are a lot of counterfeit ways to get people to say that your service is the best thing since sliced bread. So, there are a few cues that you can look at that will indicate to you that glowing reviews have been gotten by nefarious methods. If you can’t trust a lawyer, then who can you trust? You can also use technology to search for specifics when it comes to the lawyer that you want. For example, with the smart use of search strings, you can look up a disability lawyer that is located within a certain number of miles from you. You can use technology to help you filter through the thousands of results that come up from common searches in a way that makes sense, and you can do this by adding tags to your searches or working with various filtration programs. In the last few years or so, technology has allowed people to set up front page chat options on the websites. If you’re trying to get the best idea of how a law office will treat you, find one that has this chat availability right away. It showcases a seriousness on their part that they are willing to connect to you in any way possible. Technology is good for bringing in all references to a person or company to a single central point. If you know how to use the different social media platforms to output your ideas, then you know that it’s also possible to use social media to search for other people and find out how consistent they are with their online personas. Again, by working through search strings inside of social media platforms, you can get an excellent idea of the quality of a potential law firm.